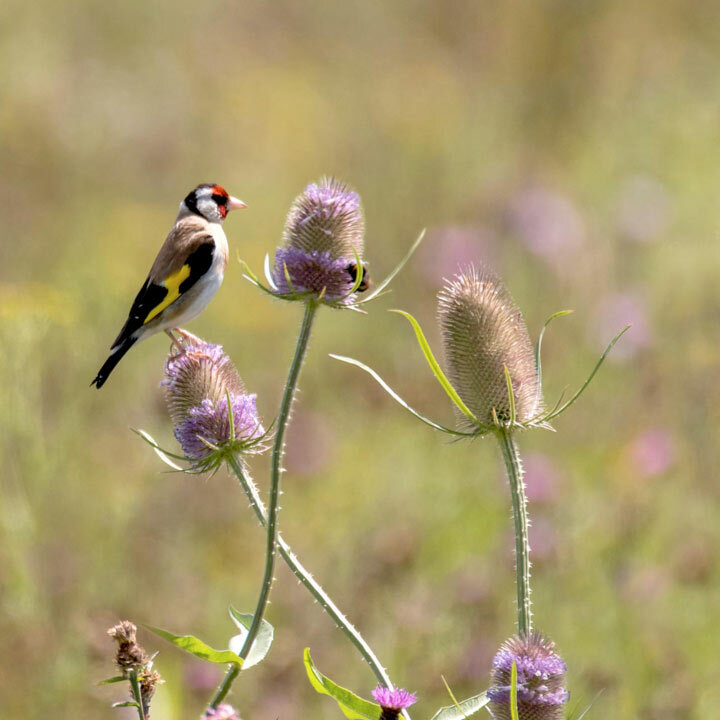 This birds and bees mix contains over 25 native species of wildflower providing nectar and pollen-rich flowers in the season along with offering out of season feeding in the winter. Excellent dual-purpose mix for garden wildlife. Ideal for planting in domestic flower beds, containers and large pots. Flowers late June-early October. To prepare for sowing, clear the area of vegetation in advance and cultivate the top 5cm (2"). There is no need to dig too deep as doing so would also bring potentially unwanted weed seed to the surface. In an ideal world, allow any existing seed to germinate and kill/remove the seedlings. Rake over the area to create a fine tilth and sow the seeds lightly on the surface. Lightly rake or tread in the seed. Do not bury the seed too deep as it may hinder germination. Keep moist. Ideal for beds and borders, patio pots and containers and raised beds. Attractive to bees and birds. Prefers full sun.